It’s tough to stand out in the cancer immunotherapy crowd, where a slew of companies are testing a variety of drug combinations and new methods to help boost responses to existing treatments. But CytomX Therapeutics has clearly gotten the attention of one of the field’s major players, Bristol-Myers Squibb, which has just re-upped and expanded a 2014 deal with the South San Francisco company. This morning, South San Francisco-based CytomX (NASDAQ: CTMX) announced that it has gotten $200 million in cash to significantly expanded a 2014 collaboration with Bristol (NYSE: BMY) to co-develop CytomX’s “Probody” antibody drugs for cancer. Shares of CytomX surged about 33 percent, to $20.26 apiece, in pre-market trading on Monday. Probody drugs are special types of antibodies that are supposed to stay inactive in the patient until they get to the specific area they are meant to affect—a method of sparing healthy tissue and potentially alleviating side effects. In cancer, that space is the tumor microenvironment, the tissue around a cancerous cell that gets tricked into doing its bidding. One a Probody drug gets there, it becomes active and does its cancer-fighting work. CytomX’s Probody drugs are just one method of trying to build on the early success in cancer immunotherapy, which despite the hype and in some cases stunning results in some cancers still only helps a fraction of patients. 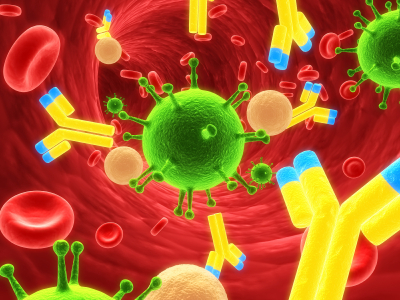 Bristol’s immunotherapy drugs ipiliumamb (Yervoy) and nivolumab (Opdivo), along with others from Merck and Genentech, are at the forefront of the field. But these companies are also using drug combinations and new methods—often through dealmaking and alliances—to expand their reach. One such move for Bristol has been to team up with CytomX. In the original, 2014 deal, Bristol paid CytomX $50 million up front to develop four Probody drugs aimed four different cancer targets. One of the drug candidates to progress from that deal is a Probody aimed at the protein CTLA-4, the same target as Bristol’s melanoma drug ipilimumab (Yervoy). Blocking CTLA-4, a protein that puts the brakes on the immune system, helps our bodies recognize and fight cancer. Ipilimumab was the first such drug, known as a checkpoint inhibitor, to hit the market when approved by the FDA in 2011. But the drug, like others among the first wave of checkpoint blockers, causes side effects like severe rash. A Probody version of ipilimumab is meant to be safer. That drug is in preclinical testing, according to CytomX’s last annual filing. In the new deal, Bristol and CytomX will develop Probody drugs for six more cancer targets and two outside the field of oncology. In addition to the $200 million cash payment, CytomX will get an unspecified amount of research funding and is eligible to receive up to $448 million in future payments, though it should be noted that these dollars often never materialize. Nonetheless, the upfront payment more than doubles CytomX’s bank account. The company had $181.9 million in cash on hand at the end of 2016, according to the SEC filing. CytomX also has alliances with Pfizer, AbbVie, and ImmunoGen on different Probody drugs. It owns full rights to its most advanced candidate, however, CX-072, which blocks another checkpoint target, PD-L1, and just began Phase 1 testing in January. The drug is being tested both as a monotherapy and in tandem with either ipilimumab or vemurafenib (Zelboraf) in people with melanoma or certain other advanced solid tumors or lymphomas. Here’s more on CytomX, which went public in October 2015 at $12 a share.